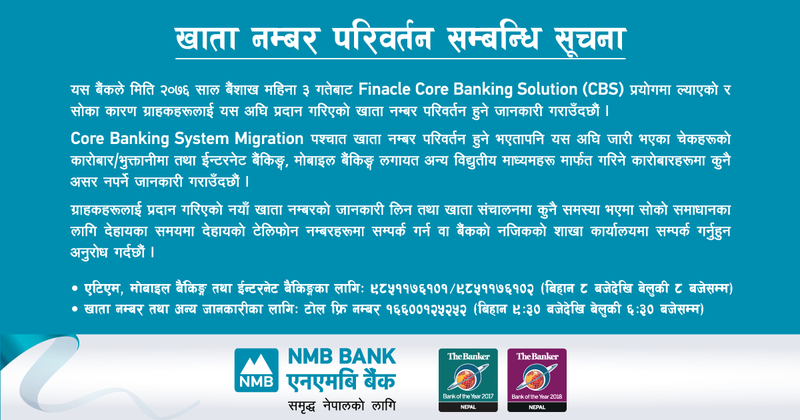 NMB Bank Ltd. and Karjabazaar signed a Memorandum of Understanding (MOU) whereby borrowers interested in NMB Bank’s loan products can now easily view loan details, apply and track loan status in karjabazaar.com. 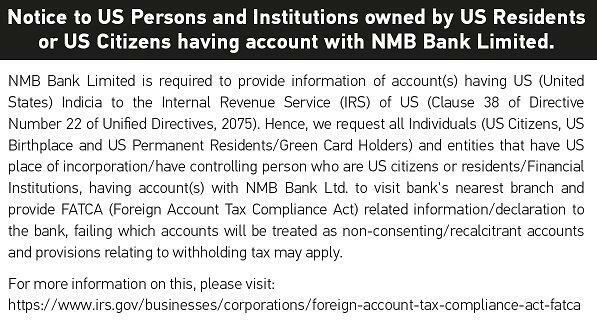 Customers can directly apply for loans availed by NMB Bank through the web portal and track the status of their loan and credit card application. 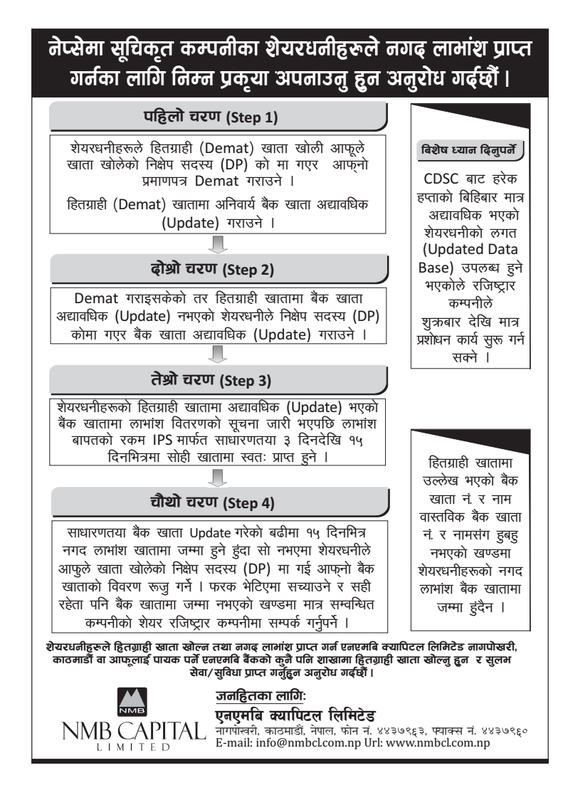 Users can also compare various loan features including interest rate and loan tenure for retail loans (Home loan, Auto loan, Loan against property, Education loan etc) and credit card. 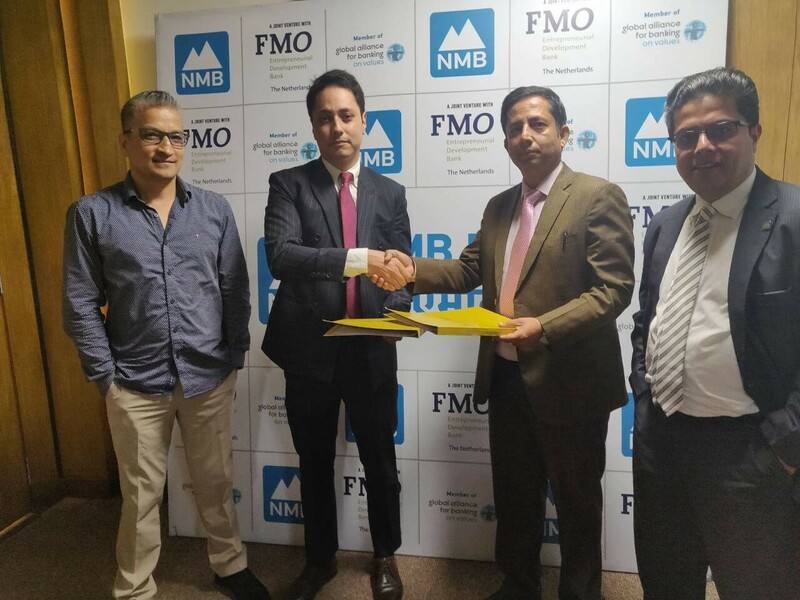 The MOU was signed by Mr. Govinda Ghimire, Chief Business Officer, NMB Bank and Mr. Yurop Man Shrestha, Director, Phoenix Capital P. Ltd. The alliance with Karjabazaar is expected to make loan application process easy and convenient for retail customers.